Goa, 19thNovember, 2018: Exide Life Insurance today organized a specially designed Customer Awareness Program for the citizens of Goa, to educate them on the basics of financial preparation for their long and happy life. 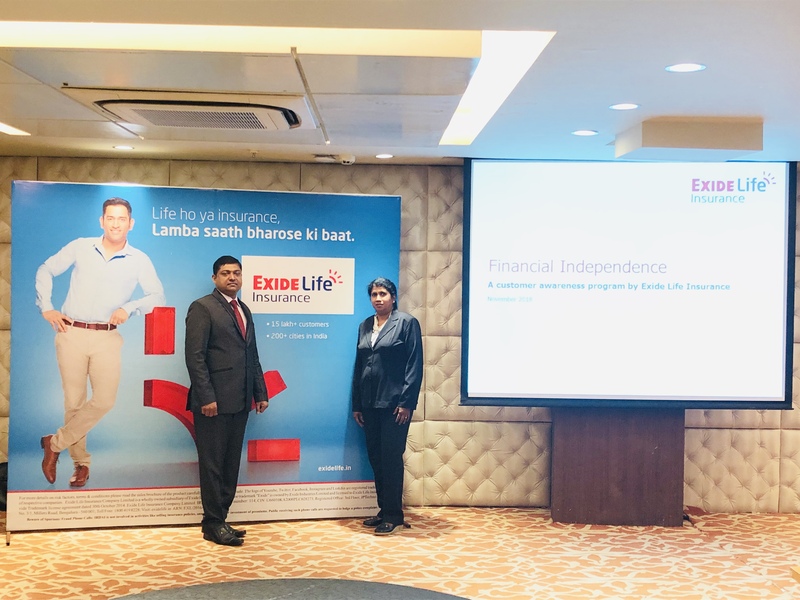 Since the program’s launch in 2015, Exide Life Insurance has been engaging with people in Tier II and III cities across the country, helping them understand the importance of insurance and equipping them with the required information to make the right financial decision for their future. The specially designed Customer Awareness Programcomprises of interactive sessions using audio-visualsaids and paper-pencilexercises.Audienceget to understand the concept of Human Life Value, which in turn helps them understand their future financial needs and hence the importance of being adequately insured. Through this initiative, Exide Life Insurance aims to contribute to the larger goal of making Indians financially independent and self-sustaining.